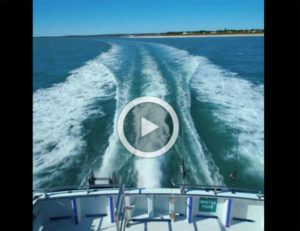 Our Fishing Charters leave Cervantes jetty at 6:00am and return at approx 2:00pm, this operates all year round excluding Christmas day and the Goverment Fishing Ban which is the 15th October to the 15th December incluvsive. To make it simple, you are provided with gear, bait and tackle as well as food and refreshments, so all you have to do is show up. Our qualified staff will ensure you have an unforgettable experience, and will do our best to make sure you bring home the Big One! To maximise your trip and ensure our crew can assist all our guests, we have limited it to 10 fishers per charter. 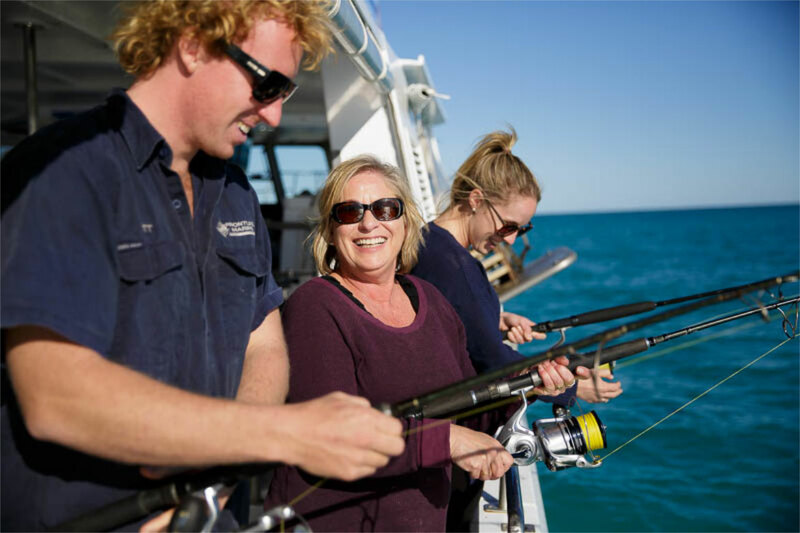 INCLUSIONS ON ALL TRIPS ARE – quality Shimano rods and reels, tackle, bait, sunscreen, soft drinks, iced water, tea, coffee, biscuits, tips and assistance from your skipper and deckhand. Your legal captures can be released or shared between the passengers. The fish is bled, gutted, iced down and bagged. Seasonal closures provide additional protection for fish species that are vulnerable during times when they aggregate (group together) to reproduce. Large-scale seasonal closures are also used to reduce the total time spent fishing(referred to as ‘fishing effort’) and therefore the total number of fish captured. In the West Coast Bioregion the following seasonal closures apply. Please note: Booking is essential and Charters are subject to weather conditions. And if you are connected to the internet, please feel free to upload your photos to our Facebook page and the photos we take will be uploaded daily. Vouchers can be purchased to any value and redeemed for any of our products within the valid date. Over the winter months we do run specials to try get bums on seats. Until the end of August tickets are 240.00 per person then will jump up to 270.00pp. 48hrs cancellation notice for groups less than 6. Groups large then 6 is 7 days notice.